Did you know that over thirty-five million people today are suffering from debilitating thyroid conditions? If you or a loved one is suffering from poor thyroid health, then you won’t want to miss our in-depth look into the top 5 essential micronutrients that can help you to restore and maintain a healthy thyroid. They’re actually two different conditions, but with similar symptoms. Primary hypothyroidism occurs when the thyroid gland just isn’t producing enough hormones. Secondary hypothyroidism occurs when the thyroid isn’t receiving messages from the pituitary gland to produce hormones. Tertiary hypothyroidism occurs when the hypothalamus isn’t producing enough hormones to cause the pituitary gland to stimulate the thyroid. Conversely, Hashimoto’s is a genetic, autoimmune disease in which the body’s own immune system starts to attack itself, with the thyroid being a central target. What follows is a tumultuous swing between hyper and hypothyroidism. Hashimoto’s appears to require three key factors in order to develop: a genetic predisposition, an exposure to an antigen (or trigger) and intestinal permeability. The symptoms of hypothyroid include, but are not limited to, intolerance to cold temperatures, constipation, fatigue, hair loss and weight gain. Patients with Hashimoto’s may also have these symptoms, but are also known to experience acid reflux, anemia, food sensitivities, gum disorders, hypoglycemia, and intestinal permeability. So while they may have their differences, both Hashimoto’s disease and hypothyroidism share a common hazard that can increase the likelihood of their development: a deficiency in key micronutrients! The fact is, what you don’t know can hurt you, and if you don’t supply your body with the essential elements it needs to maintain your health, then your body has no choice but to respond in devastating ways. That’s why you must absolutely see to it that you become and stay sufficient in the following 5 essential micronutrients! A common symptom of hypothyroidism is low stomach acid (hydrochloric acid), putting sufferers at risk for deficiencies in key micronutrients like Vitamin B12. This is because adequate stomach acid is needed in order to properly release and absorb B12 from food during digestion as well as to produce something called intrinsic factor, a binding protein required for intestinal absorption of B12. In short, a lack of stomach acid means a lack of intrinsic factor, (which is required for intestinal B12 absorption), which will eventually lead to a deficiency in vitamin B12. A deficiency in vitamin B12 can lead to anemia, compromised function of intestinal villi (which absorb and digest nutrients), and impaired digestion. And as we have just seen, if the digestive system isn’t fully operational, then it will be very difficult for the body to absorb and utilize all the essential micronutrients in our food. Absorbing less nutrition from your food paves the way for deficiency, disease, and poor health. To prevent or reverse a deficiency in B12, supplementation is an effective option, but since stomach acid/intrinsic factor is essential for intestinal B12 absorption, if you have poor digestive health you should use a sublingual B12 supplement or get a B12 shot. The sublingual, under the tongue delivery system bypasses the need for intrinsic factor and (for most people) is more enjoyable than a shot. Those who suffer with impaired digestion or poor thyroid function will benefit from supplementing with B12. People who exclude animal products from their diet are also at risk for B12 deficiency, and would benefit from B12 supplementation as well. When supplementing with B12, check the label and make sure that you are purchasing Methylcobalamin, the form of B12 that is already in its active methylated form. We do not recommend using supplements using Cyanocobalamin, which is a non-methylated, unnatural source of B12. 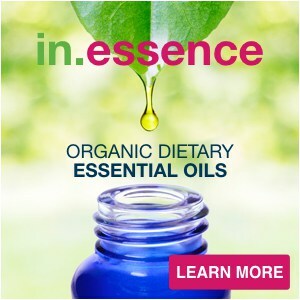 This essential micronutrient can be found in every cell within the human body, and is necessary for life. In the thyroid, a deficiency in iron causes a reduction in the conversion of the thyroid hormone T4 into T3. Furthermore, a deficiency in both thyroid hormone and iron can cause unwanted side effects such as a slow basal metabolic rate and hair loss. Signs that this may be happening to you are a lower metabolism and/or weight gain and hair loss while washing or brushing your hair. Unfortunately, women are even more at risk for an iron deficiency than men. On average, a woman will lose between 10-15 mg of iron during menstruation, with pregnancy causing a loss of about 600 to 1,000 mg of iron. Furthermore, iron deficiency leads to anemia, which has similar symptoms to hypothyroidism, from brain fog and depression to hair loss and fatigue (or weakness). Similar to vitamin B12, the body needs a strong and ready production of stomach acid in order to properly absorb iron. Low stomach acid means less absorption of iron and other key micronutrients, further contributing to the demand for a multitude of different micronutrients that the body needs in order to carry out its many functions. Failure to achieve sufficiency in these essential micronutrients means the body will become susceptible to health conditions and disease. Before just purchasing the first iron supplement that you can find, a word of caution must be made. According to the National Institutes of Health’s Office of Dietary Supplement, too much iron can become toxic, or even fatal. To avoid developing a toxic overload, look for a multivitamin that is iron-free. Supplementing with iron is not advisable for everyone. However, vegans and vegetarians, children, teens, pregnant women and/or women of child-bearing age, athletes working out or training more than six hours a week, and older adults are at an increased risk for iron deficiency and may want to supplement. A final note is that iron doesn’t play nice with other micronutrients. It competes for absorption with ten other vitamins and minerals. That’s why if you choose to use an iron supplement, it’s important to take it separately from your multivitamin or calcium supplements. We recommend taking it at midday on an empty stomach. Additionally, there are specific dietary factors can also impact iron levels. Tannins in tea, coffee, and red wine as well as phosphoric acid commonly found in soda can inhibit iron absorption. These drinks should be spaced out by at least an hour from iron-containing meals or supplements. Phytates found in nuts, soy, legumes, and grains and oxalic acid found in fruits, vegetables, nuts, seeds, grains, black tea, spinach and chocolate may also affect iron absorption, as well as eggs. Dietary iron is found in two forms: heme iron and non-heme iron. Heme iron is found only in animal sources since is derived from the hemoglobin and myoglobin in animal blood and muscle tissues. Non-heme iron is found in plants, but is also found in meat and dairy products. In fact, the iron found in meat is about 40% heme and 60% non-heme. About 30% of heme iron is absorbed from food where as only about 3% of non-heme iron is absorbed. These absorption rates are increased when vitamin C is ingested with iron (mainly non-heme). Supplementing with Betaine and Pepsin during meals can also help by way of making a more acidic environment that supports iron absorption. Thyroid structure and function have been shown to improve after supplementing with selenium (it’s superior, bioavailable form is selenomethionine). As a catalyst to almost one hundred different enzymes reactions required by the body, zinc functions as an essential mineral that is vital to overall wellbeing. It helps in the conversion of the inactive thyroid hormone T4 into the active thyroid hormone T3, and is needed to form TSH (Thyroid-Stimulating Hormone). During hypothyroidism, the stomach stops producing adequate amounts of stomach acid, which can subsequently result in a malabsorption of zinc. To add insult to injury, if the body is deficient in both iron and zinc, then the conversion rate of T4 to T3 will be severely cut down, elevating the chances of developing autoimmune conditions like Hashimoto’s or poor thyroid function into dangerous new heights. Individuals with hypothyroid may become depleted in zinc as they are actually producing more TSH, which creates a nasty cycle that can lead to a zinc deficiency. In addition to the fact that most people with hypothyroid are deficient in zinc, an estimated one out of four people in the general population are zinc deficient. Because zinc is not stored in the body for later use, it is crucial that sufficient levels be ingested daily. Hypothyroid conditions have been shown to dramatically improve after supplementing with zinc. As we’ve discussed, Hashimoto’s as an autoimmune disease whereby the body’s immune system is attacking the thyroid. One of the ways we can regulate the immune system and bring it back into balance is by reducing inflammation. An inflamed system sets the stage for a whole host of diseases, so it is important to cool things down and create a new anti-inflammatory environment that is prime for healing. 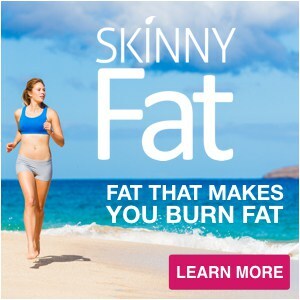 One of the ways this can be done is by getting in an optimal dose of anti-inflammatory omega-3 fatty acids. Omega-3’s (ALA, EPA, and DHA) make up one of two types of micronutrients known as essential fatty acids (EFAs). And as their name implies, EFAs are essential in that the body cannot produce them on its own, meaning they must be obtained from food or supplementation. Research has even shown that fatty acids have the potential to influence gene expression, including the genes that are involved with inflammation. This is why omega-3 is so special, because of its anti-inflammatory effects – the very inflammation that precedes the start of failing health, such as an overactive immune system that’s on the attack. There are two sources of omega-3, plants, and animals. The omega-3 found in plants is known as alpha linolenic acid (ALA), and needs to be converted into EPA and then DHA in order to be used optimally by the body. As for animal and algae sources, both EPA and DHA are already present, and thus require no conversion process. These are the preferred sources of omega-3, as ALA has not been shown to demonstrate the same cardiovascular benefits as EPA and DHA. As you may know, we believe in a food-first philosophy when it comes to achieving our own best health. Supplements exist solely to fill in the gaps and serve as a preventative “health insurance policy,” a kind of safety net for sufficiency. That being said, if you are suffering from either hypothyroidism or Hashimoto’s then the likelihood of micronutrient deficiencies are high and supplementation has been shown to be an effective form of therapy. Here are our recommendations to help you to take in enough of these above listed (commonly deficient) micronutrients. Essential vitamins and minerals are just that… essential. While the US Government states the likelihood of deficiency is 90%, chances are even greater for you if you have a thyroid condition. So, it is imperative that your body is supplied with all of the essential micronutrients that are needed to elevate your health. 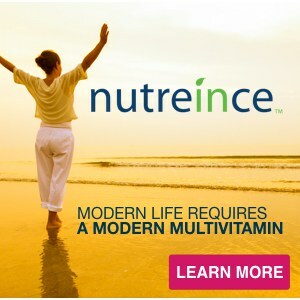 Nutreince is the world’s first and only multivitamin formulated using patented Anti-Competition™ Technology to separate the vitamins and minerals that have been scientifically proven to compete for absorption and utilization. Our in-depth research on absorbency revealed that the most effective multivitamin would be a powdered formula in single serving packets (to avoid oxidation), free of binders, fillers, excipients, sugars, artificial flavors and colors. That's exactly what you get with nutreince—A simply elegant solution to better providing essential nutrients for the complicated magnificence that is your body. Want help getting your autoimmune disease under control? Omega-3 can help by regulating your immune system and bringing it back into balance by reducing inflammation. Omega-3 supplementation is an extremely powerful tool in the fight against inflammation, which makes taking a high quality fish oil supplement daily absolutely essential. 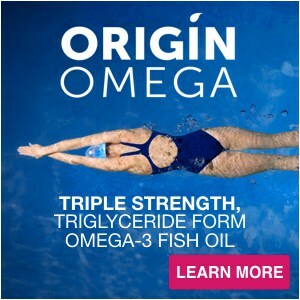 Our triple strength, triglyceride form omega-3 fish oil called ORIGIN OMEGA is made from wild caught, pharmaceutical grade fish oil and is formulated for optimal absorption using our patented Anti-Competition™ Technology. Taking the EPA in the AM and the DHA in the PM eliminates the natural competition between EPA and DHA and ensures your body can receive the full benefits of both. Without a doubt, there is something to be said for the power of micronutrients, and how they affect the entire body, including the thyroid. However, there are more than just 5 micronutrients that support thyroid health. So many more that we couldn’t fit all of them in one post! But guess what? We have a FREE guide that covers them all, including the ones we discussed today. And that’s not all. In our Healthy Thyroid Vitamin & Mineral Guide, we talk even more about the essential nutrients you need to prevent and treat these conditions with the power of micronutrients and the ABC’s of Optimal Supplementation. We are confident that our FREE guide will help you understand how micronutrient therapy can benefit your health. 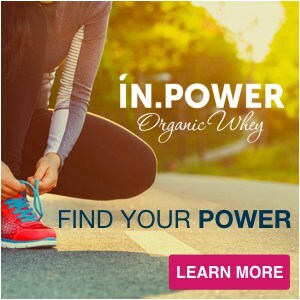 Our confidence is based on medical and scientific proof that if a condition or disease can be directly linked to a micronutrient deficiency, then it can be prevented and/or reversed through sustained sufficiency of the deficient micronutrient(s). 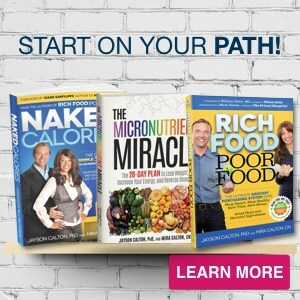 Once all of your micronutrient levels have reached sufficiency, true miracles are ready to happen. Download our FREE guide now and see for yourself just how effective our micronutrient therapy approach is when it comes to a healthy thyroid!